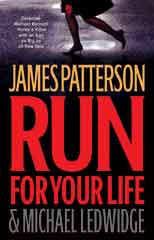 This the first book that I read by James Patterson. I know it’s crazy that I have never read any of his books since he has been around for awhile. I wish I hadn’t waited so long to read one- it was awesome! I loved his writing style and how fast paced he kept the story going. There was no dull or boring parts in this book. The short chapters were nice as it felt like you were getting through the book really quickly. I read this book in 3 days and stayed up late each night reading to find out what happens next! I really liked the main character Michael Bennett who is a NYPD cop and single dad with something like 10 kids! He was very likable and I’m looking forward to reading more books in the Michael Bennett series. The storyline of the book seemed to be something ripped from the headlines and in parts it was hard to believe that people can be so cruel and heartless. It was an action packed storyline that will bring you quickly through the book and actually I was sad to see it end since I really liked it so much! I now want to go out and pick up James Patterson’s other books and give them a try. This book is definitely well worth reading!